The University of the Witwatersrand’s LINK Centre would like you to invite you to attend its Broadcasting Policy and Regulatory Trends Course 2014. This certificate course is designed to deliver cutting edge resources regarding African and International Trends on broadcasting law, policy and regulation. The course is coordinated by Prof. Justine Limpitlaw and features leading experts in the broadcasting policy and regulatory field together with the most up to date materials and resources on technology and regulatory issues. Of particular importance in this course will be the South African ICT Policy Review process and possible scenarios for broadcasting policy and regulation for South Africa and the region. Regulatory trends from a number of international jurisdictions, including Canada, Australia, Singapore, the UK will be canvassed as well as regulatory trends in the SADC Region. We think that this course will prove invaluable to lawyers in advising clients on this fast changing field. 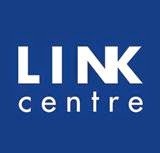 For more information about the Link Centre click here.